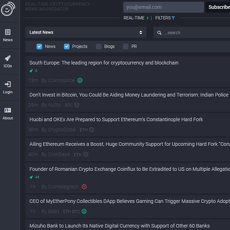 Coinlib is a news aggregation platform setout to provide you with a constantly updated news feed based on anything crypto or blockchain related. The site is very well laid out and simple to use. 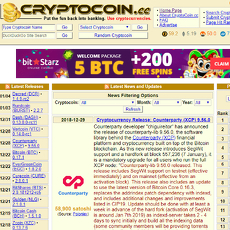 Upon entering the site you will be immediately exposed to a list of the most recent crypto news to date. Something this aggregator has that some other ones that are similar to it doesn’t is the source of the news included. • 1 click access to the news piece. This makes reading the news pieces incredibly fast. 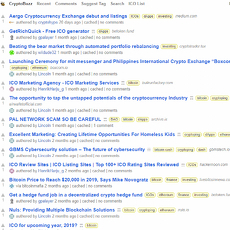 You don’t even leave Coinlibs website, it pulls up the entire piece for you when you click on it. 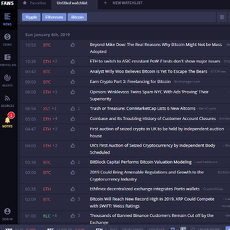 • Constantly updating news feed ensures you are reading the most recent updates in the crypto world. 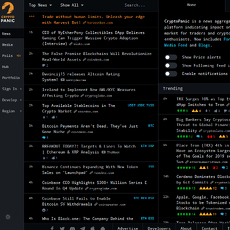 • Search function allowing you to find specific topics and pieces of news. 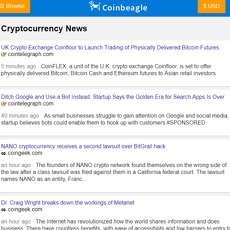 • The option to choose an exchange as your news feed. 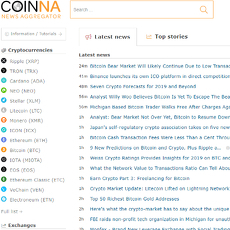 • The option to choose a specific major coin as your news feed. 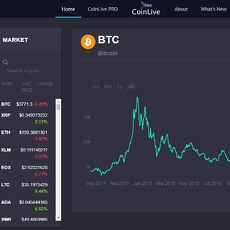 • Choosing a coin from the drop-down menu grants you access to its graph and information such as metrics, performance, technical analysis links, etc. 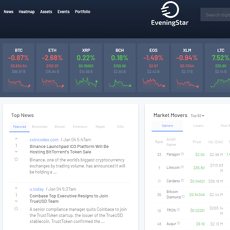 • This site also has an easy to use portfolio manager with tons of visually pleasing and informative graphing, charting, and data points. 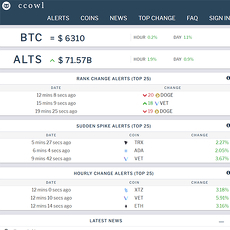 By far one of the best crypto aggregators available. Simple on the outside but packs a ton of information and functionality. No cons. This site is top class in its niche.